There is no higher priority for Congress in the next several years than resolving the existential threat presented by unsustainable federal budget deficits and the national debt. As congressman Mike Coffman recently warned in the Denver Post: “I strongly believe that we have a federal government that is much larger than our economy will ever be able to support." Representative Coffman will address the City Club of Denver on the conjoint issues of “Tax Policy, Economic Growth, and Deficit Reduction in the United States” and how we may avoid the sovereign bankruptcies threatening Europe today. 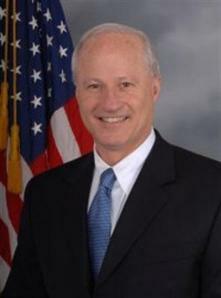 Congressman Mike Coffman has been serving the State of Colorado and the United States for well over 30 years. He served in both Colorado legislative bodies and was elected and served as the Colorado State Treasurer and the Colorado Secretary of State. He served two tours of duty as a marine officer in Iraq, and is currently serving in Congress representing the people of the 6th District of Colorado.